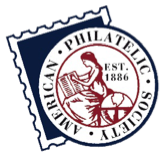 The Board of Directors of the American First Day Cover Society, the largest not-for-profit organization in the world specifically for FDC collectors, has re-elected the Society's officers for another one-year term. The board has also chosen Rick Gibson, pictured left, as its chairman for 2017. 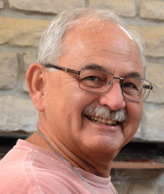 He succeeds Todd Ronnei, who is retiring from the board. Gibson, from Maryland, was first elected to the board in 2015 and manages the AFDCS' annual cachetmakers contest. He collects and exhibits first day covers of the Smoky Bear stamp. The 2017 AFDCS officers will be Lloyd de Vries of New Jersey, president; Michael Litvak of California, executive vice president; Mark Goodson of Indiana, first vice president; Ralph Nafziger of Oregon, recording secretary; and Ed Mendlowitz of New Jersey, treasurer. AFDCS officers are not compensated, nor reimbursed for their travel expenses. The Executive Committee, which also includes the executive secretary, immediate past president, editor, membership and education chairs, and the general counsel, conducts business throughout the year and meets annually at Americover, the society's annual show and convention, which in 2017 will be held August 11-13 in Independence, Ohio (suburban Cleveland).